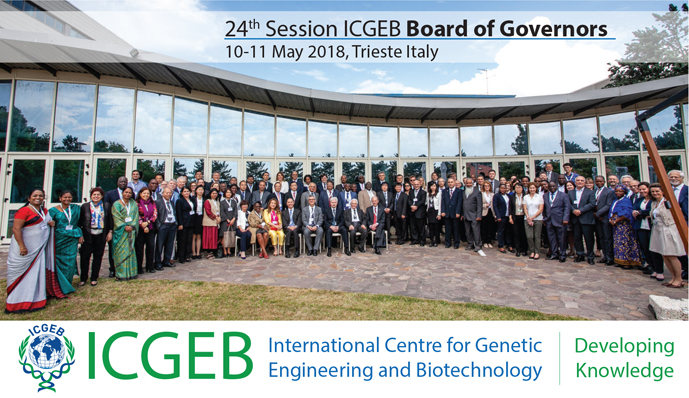 During 9 – 11 May 2018, in Trieste, Italy, took place the twenty-fourth session of the Board of Governors of ICGEB 2018 – International Centre for Genetic Engineering and Biotechnology. 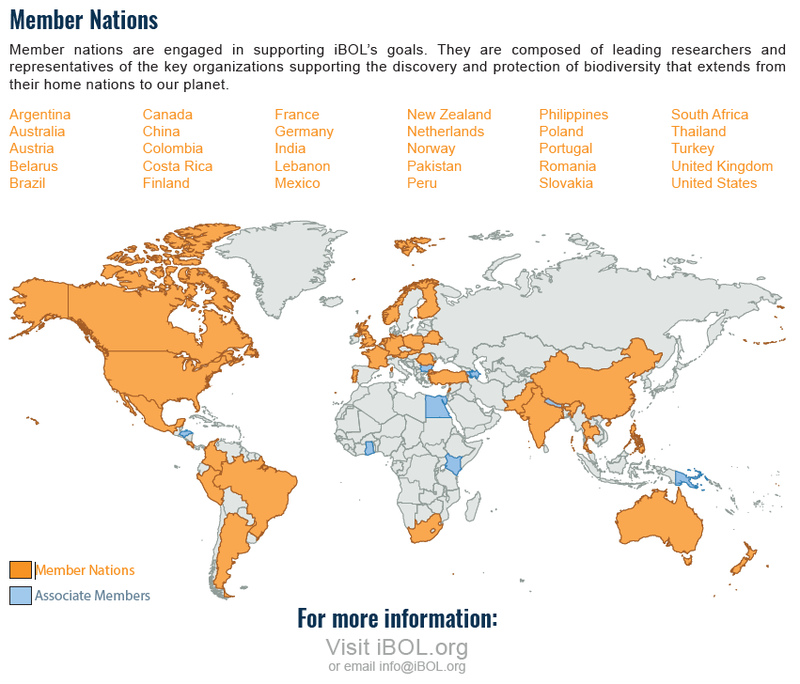 The sessions of the ICGEB Governors Board are held annually, bringing together government representatives from over 60 member states with the purpose of promoting sustainable global science at international level, technology and innovation in Biotechnology. The Representant of Romania in the Board of Governors of ICGEB, who participated on this session, was Dr. Manuela Elisabeta Sidoroff, Director General of the National Institute for Research and Development of Biological Sciences. 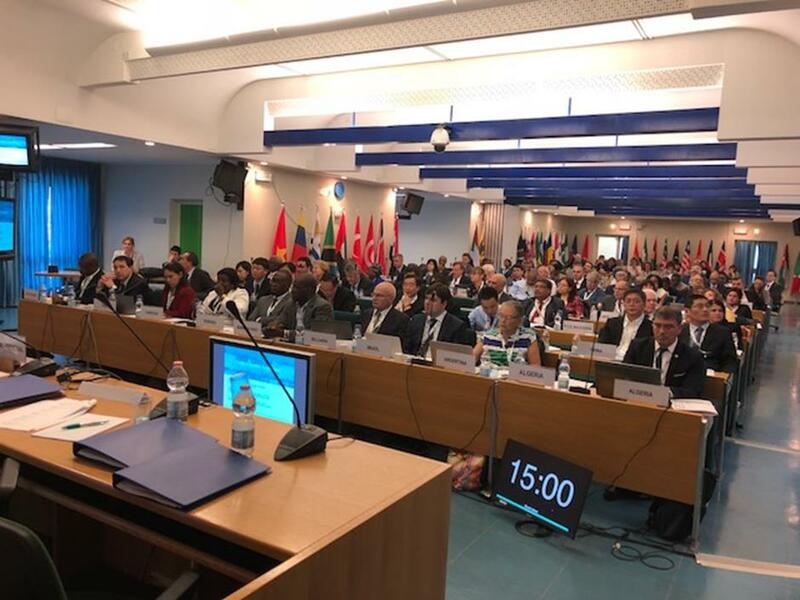 The works of the Session of the ICGEB Board of Governors were held in accordance with the agenda adopted at its opening (Report of the Director – General on the General Programme of the Centre, the Report of the Director – General on Scientific Research in Trieste, Cape Town and New Delhi, Relationships between Member States, Relationships with other Multilateral Organizations, Governing Bodies – Council of Scientific Advisers – CSA, General Programme and Budget for 2018, External Auditor’s Report, Other Matter, and Preparation of the 25th Session of the Board). At the item 6 of the agenda, were elected same members of the Council Scientific Advisers of ICGEB. 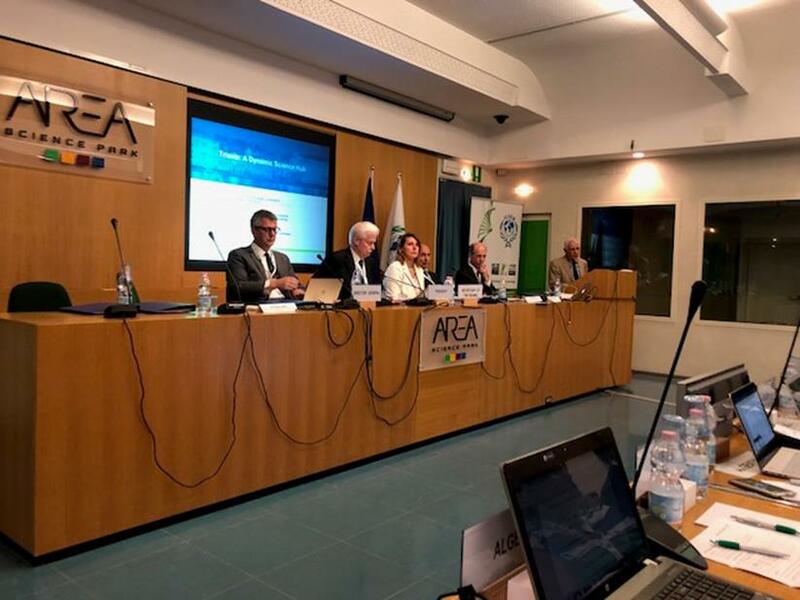 The Council Scientific Advisers (CSA) is composed, starting with this session through the vote of Board, from twelve eminent scientists active on the international scene in domain of the Life Sciences. The members of the Council are elected by the Board of Governors for a period of three years which may be renewed. At the proposal of Mrs. Dr. Manuela Elisabeta Sidoroff, was nominated to candidate from Romania site in this Council, Mrs. Prof. Univ. 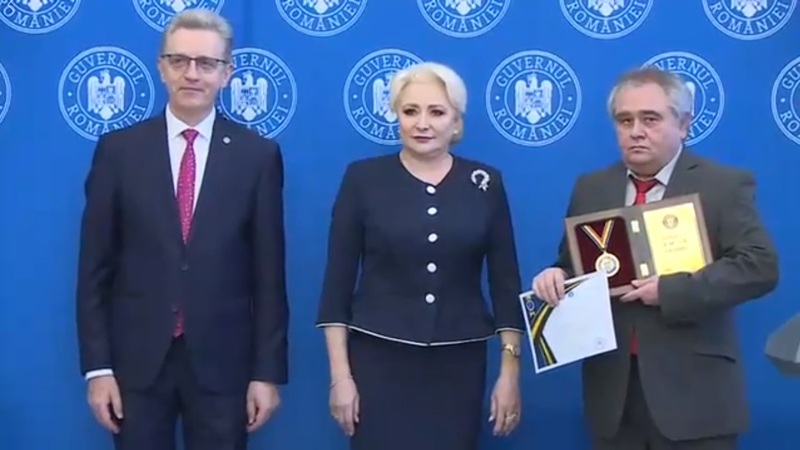 Dr. Carmen Socaciu, in recognition of her remarkable leadership and tireless efforts in addressing and raising the awareness of the scientific community about plant biotechnology issues. Mrs. Prof. Univ. Dr. Carmen Socaciu, professor at the University of Agricultural Sciences and Veterinary Medicine from Cluj Napoca, the Department of Chemistry and Biochemistry, was elected to the ICGEB Council of Scientific Advisers (CSA), a remarkable result of Romania’s activity in the framework of ICGEB.